My main thought would be that your snufflers aren't going to be in range of the squig hoppers/bounders for long ,and the herds are too small to be worth the buff/survive to reach your foes. Snufflers are best paired with big blobs I reckon. If possible I'd try and amalgamate them, reduce the number of snufflers and try and get a blob of grots in. Just to say, I believe it was the 6th edition o&g book that mentioned small/juvenile orcs crawl/appear from dung heaps in old orc camps, which reinforces the fungus idea. Anyone got any idea of solid initial purchases? I need to test some schemes - usually don't go for the standard but cream robes I've done in the past are time consuming. Agreed, I can see him being the primary choice for generals, then the troggboss for themes. Considering the art of the army marching featuring moonclan, troggoths, and spiders, I imagine they will be rolled in together. Personally perfect for me, my arachnarok has never seen the table! The rest of Spiteclaw's swarm, and at least 1 Knight-Incantor. Stretch goal: Warhammer Underworlds in some form, probably Nightvault. Skritch finished, and won the painting competition he entered. Thanks. Not too long no, simply blending in my wet pallet between metallics. The weathering was just nihilakh oxide and nuln oil mix. 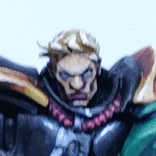 Also applied nuln oil to shadows which made a big difference dimming the shine of the metallic paint. I haven't painted the helmets top spikes as I intend to make them gold. His left arm armour is bright, but the light source is directly above do the shine is on top, as photographed. Been working on Spiteclaw as a competition piece. Got a week to get him, and potentially the rest, done. I am very impressed with the nighthaunt. I like that you can see all the implements of torture relevant to their demise. 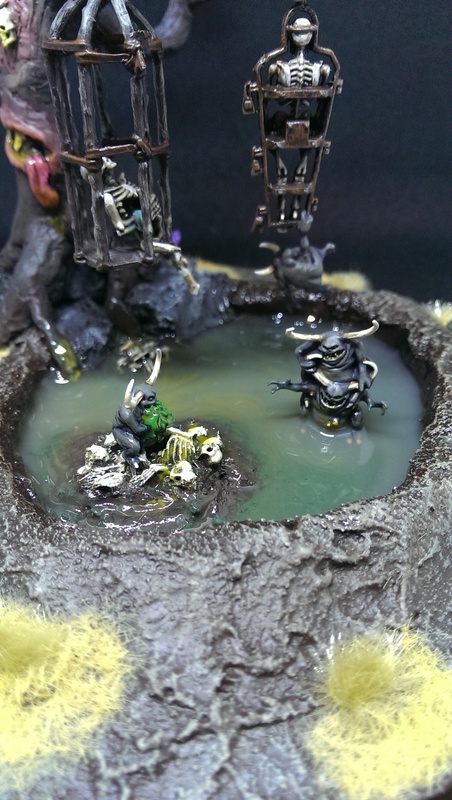 Also, if you look at the base and how zoomed it is, that grot is tiny! I can see the fungoid cave shaman towering over him. I would not be surprised if there is a brand on the troll somewhere unpleasant. Going to do a Celestar Ballista, and stretch for a knight incantor. Finished the leather on my pledge today. Ignore the text, that was for Instagram. 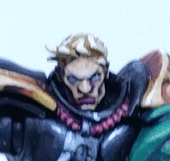 I will definitely paint 4 sequitors. Maybe more. Maybe also a knight-incantor. I can't remember if I pledged or not. But I built soul wars and painted a test mini for my stormhost "the Azyrite Crusade". A unit of 5 one shot my megaboss. I like it, looks like a fun list. I want to try a tauralon also because I like it! But you need another sequitor unit for cleansing phalanx. Ill be honest, I have not kept up with it since I moved on from Tzeentch ? I don't know about anywhere else, but Russian farms are terrible, do not buy anyone's that sources from Eastern Europe. I know Winsor & Newton use tail fur plucked from captured and re-released animals seen as pests. Firstly, that head is amazing on the body. For a weapon, either use an arm with the scythe to have it raised into the air. Otherwise, melusai spear would be great. What is up with the Stormcast's mounts? Stormcast themselves? They're masks, so nah. Makes them all the more terrifying.